Complete with Ableton Live Lite, 4GB of royalty-free Loopmasters samples and the Novation Bass Station and V Station VST and AU plug-in synthesisers, Launchpad comes with everything you need to start making great music. It also supports Novation Launchpad App, so you can use its RGB pads with your iPad too. 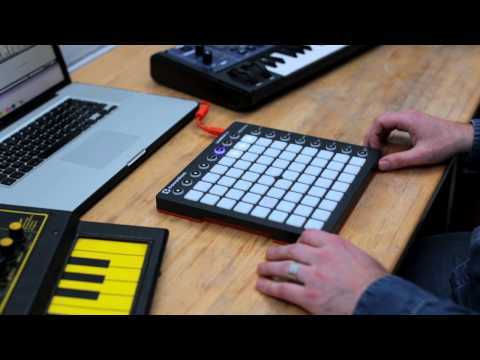 If you already have Ableton Live it must be version 8 or greater to work with Launchpad. We recommend that you update to the latest version as previous versions of Ableton Live do not include the Launchpad integration. 12.6" x 3.54" x 12.13"